THE Australian Ballet and its audiences have a great deal invested in David McAllister’s new Sleeping Beauty, in both senses of the word. The first is financial: this Beauty cost more than $2 million to produce and 70 per cent of its financing was provided by ballet-lovers. The program lists hundreds of supporters, some of whom gave gifts of more than $50,000 and others more than $20,000. The second investment arises from the first. 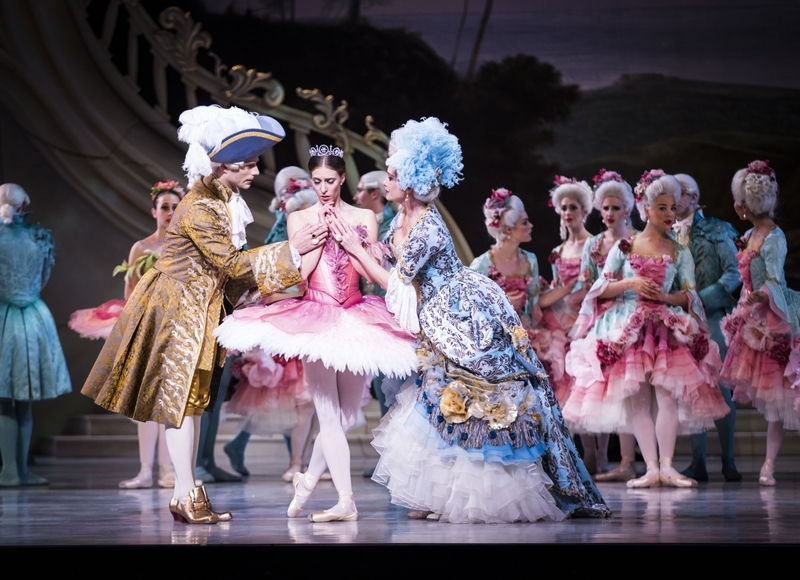 Because the enterprise is so grand and so expensive, The Australian Ballet has promoted The Sleeping Beauty to saturation point through every channel possible. Even those only slightly interested in the AB would have known of its progress. When expectations are raised to this extent the pressure to succeed is equally intense. The first performance – described in grandiose manner as a “global premiere” – was greeted with a standing ovation, an event relatively rare for ballet in this country. The sense of relief was palpable. The Sleeping Beauty looked every bit as sumptuous as promised, and more. The first-cast Princess Aurora and Prince Désiré, Lana Jones and Kevin Jackson, were a glowing pair at the centre of a setting that could effortlessly overshadow dancers of less consequence; Amber Scott created an indelible impression as the Lilac Fairy, gossamer-delicate, dispensing calm and goodness and making one believe implicitly in her natural authority; and it was wonderful to see former AB principal artist Lisa Bolte, who now works behind the scenes with patrons, as a radiant Queen in whom it was easy to see the Aurora she once was. This was inspired casting. Gabriela Tylesova’s design, which drinks deeply of Baroque and rococo influences, is almost absurdly beautiful. Tylesova revels in saturated colours, flounces upon ruffles, embellishments, beads, crystals and feathers. There are columns, chandeliers and romantic vistas. She has created an eye-filling, mouth-watering fantasy world that throws out a huge challenge to McAllister: match this if you can, buddy. Well, he asked for it. There have been a few rumblings about the design being oppressively opulent but this greatest of ballet scores can bear the weight. It invites and deserves a magnificent mise en scène. It also requires storytelling that can fill the space and amplify the music. It’s in the latter sphere that Beauty doesn’t fully succeed despite the involvement of Lucas Jervies, a choreographer and director working as McAllister’s sounding board and adviser. The Sleeping Beauty is set in a strictly hierarchical society that cascades down from the King and Queen. Knowing your place is paramount. Order is everything. In the ballet harmony is disrupted and then restored through the superior might of good and the healing power of pure love. The production takes a fresh line on the event that sets the story in motion, the lack of an invitation for the fairy Carabosse to Aurora’s christening. In a quite lengthy piece of business it’s made clear that Catalabutte – I suppose these days you’d call him the King’s principal private secretary – is an active participant in the Carabosse disaster. He is loath to invite the dark fairy, the synopsis tells us, although the ballet itself does not, indeed would not be able to, indicate why. (Apparently she hasn’t been around for a while.) Catalabutte dithers a bit, makes a weak attempt to run the matter past a preoccupied King, then tears up the invitation. McAllister must have thought this stronger than having Carabosse left off the list because of system failure but it’s odd that a functionary would be given such agency. Carabosse is a powerful figure, as we soon see. The failure of the palace administration to run smoothly, effectively and according to protocol reveals a crack in the structure, and that precipitates a devastating event. That’s why most productions present the exclusion of Carabosse as a clerical error rather than an active, personal decision on the part of an underling. The Carabosse issue is compounded in this production: she reappears at points in the story where her presence is simply not called for. Once the Lilac Fairy has ruled that Aurora will not die when she pricks her finger, when it’s abundantly plain that the influence of the Lilac Fairy trumps that of Carabosse, why would Carabosse turn up, only to be routed once more? She might have a wicked streak but she isn’t stupid: in fact in this production she is titled the ancient Fairy of Wisdom. On opening night former AB principal artist Lynette Wills invested Carabosse with much dark allure, although it was puzzling she should wear pointe shoes when there is little choreographic call for them. It’s not a flattering look. The nature of this world would also have been more clearly defined by the presence of supernumeraries to fill out the court, which looked under-populated for such a lavish establishment. And I missed the presence of children acting as pages and rounding out the garland dance. A court such as the one Tylesova creates would be replete with pages attending the courtiers who wait upon minor royalty who attend the monarch. Yes, it would cost, but the ship sailed on that aspect a long time ago. Another idle thought. Would the King and Queen walk about holding their baby in the manner of fond 21st century parents? It diminished their grandeur for me. It was a bold move to excise most of the traditional fairytale divertissements from the Act III wedding celebration (though not Bluebird/Princess Florine) but they aren’t much missed. The wedding party is a stupendously lavish affair, presented as a masked ball in the style of Louis XIV. Very clever, eye-poppingly decorated, and showing footmen lighting candles on huge chandeliers that then rise up majestically is a splendid touch. Fairytale characters including the cats, Little Red Riding Hood, Puss in Boots and Cinderella are evoked in fancy-dress costumes worn by the Prince’s friends – people we saw rather too briefly in the very heavily truncated hunting scene of Act II after which the Lilac Fairy shows the lonely Prince his future love in a vision. It would have been helpful to see just a little more of the friends in Act II to make the connection more evident in Act III. But the basic logic works and it’s an imaginative decision. I am very much looking forward to seeing Beauty again – and other casts – when it comes to Sydney in November. After that, in honour of the title McAllister bestowed on his whole 2015 program, I will examine my own Year of Beauty. By November I will have seen four different productions: the Ratmansky for American Ballet Theatre, McAllister’s, Greg Horsman’s for Queensland Ballet and the touring version from Russian National Ballet. At that time I will write in detail about the performances, including that of Alina Cojocaru in Brisbane, Gillian Murphy and Sarah Lane for ABT and further Australian Ballet casts. 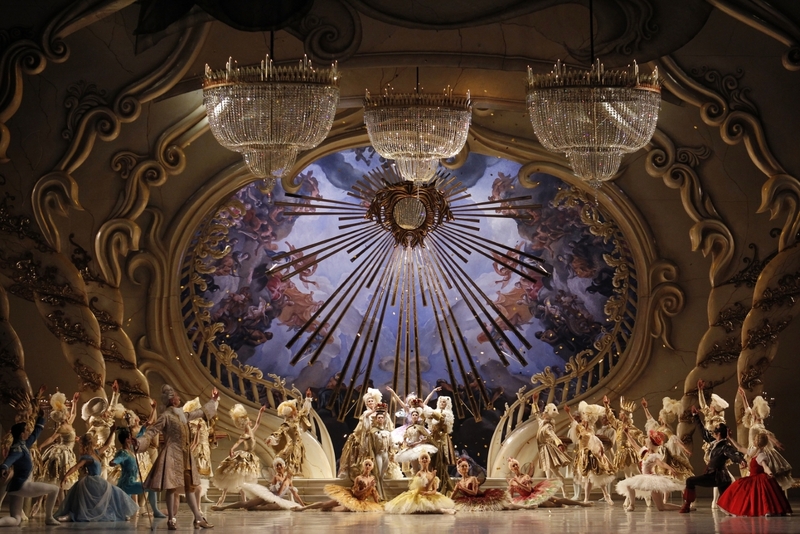 The Sleeping Beauty ends in Melbourne on Saturday. Perth, October 7-10. Sydney, November 27-December 16.